CCP Games has released a new expansion for Eve Online, titled “Ascension,” on November 15, 2016. 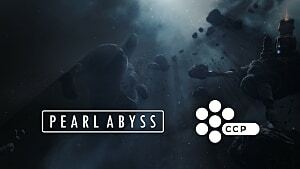 It has turned the cult space MMORPG into a free-to-play game. The free model has a few limitations though, but you can always switch to the paid subscription at any time. 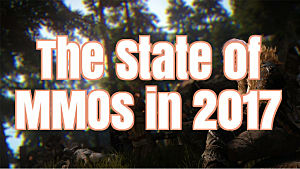 The free-to-play state is called “Alpha Clones” and the subscriber state is called “Omega Clones.” The free-to play model has been designed to revive the MMO and help new people join its fantastic universe without spending any money. 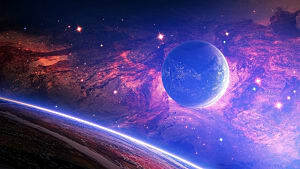 However, such new players may find it difficult to choose a right character for themselves in the beginning of the game. For this reason, we present you with a simple character creation tutorial for Alpha Clones, so you can start playing Eve Online right away. The first thing you need to choose before creating a character is the race. 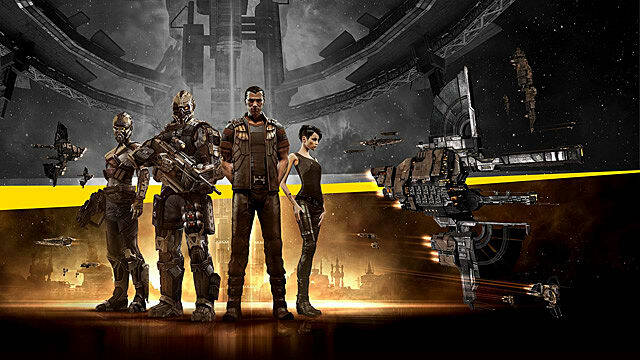 There are four races in Eve Online, and it doesn’t make much difference for the paid subscribers which race to choose, but if you play as an Alpha Clone, then you have to be sure about your decision. What defines a race is the type of ships that you will be able to use in the game, and paid subscribers can choose any race and pilot ships from other races as well. However, if you've chosen a free-to-play model, then you will only be limited to the ships of your race. This race uses heavy ships with a lot of armor. Due to their tankiness they are quite slow. They have an ability to use drones. Drones are more sophisticated than missiles, and probably not the best choice for complete beginners. Their main weapons are lasers. They’re great because they never run out, as energy weapons use crystals instead of the typical projectile ammo. This race carries strong shields on their ships. They are much faster than Amarr, which makes them great for PvP. 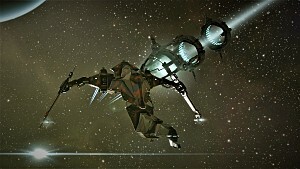 Caldari ships mainly use missiles. This type of weaponry is good for long range combat. Their main weapons are a hybrid of projectiles and lasers -- which makes things easier, if you can’t decide between the two. Hybrid weapons also have the highest DPS. This race has the best Tech 1 boats in the game. Choose the Gallente race, if you want to develop an Industrial type of character, as their Industrial ships have the highest number of bonuses. Their frigates are much faster than Caldari or Amarr. They also use hybrid weapons. This race has the most versatile ships in the game. If you really can’t decide what kind of ships you want to pilot, then choose Minmatar. They also have the fastest ships in the game. Their main types of weapons are projectile turrets. 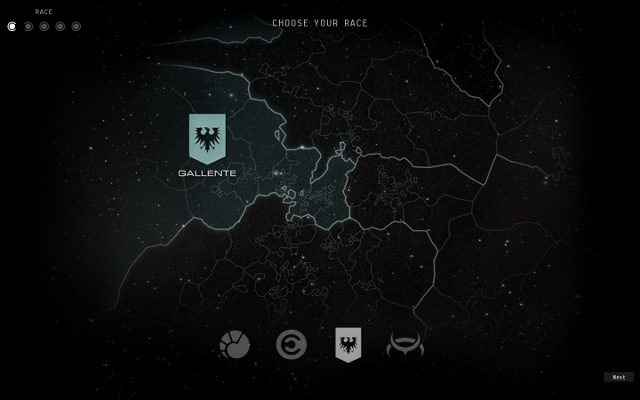 Once you’ve figured out which of these four races you want to choose, comes the next big step -- Bloodline. 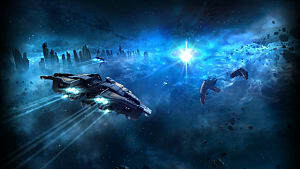 In the Alpha State of Eve Online you are limited to developing skills of the race of your choice, while in Omega State you can gain skills of other races, too. Each race has three Bloodlines and three Ancestries. 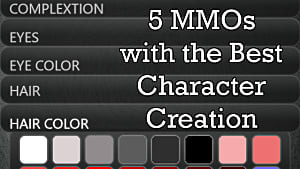 However, these only affect the appearance of your character, so choose the one that fits your aesthetic taste the most. This choice has no influence on the set of skills. Later in the game you will have the chance to choose what type of activity you want to do -- whether it's Mining, Exploration, Trading or something completely else. 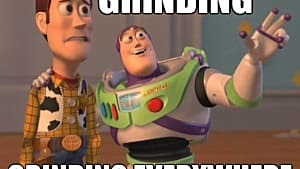 So, you need to put certain skills into a Skill Queue that will fit your character the most. You can check an entire list of skills available for Alpha Clones in Eve Online at the bottom of this page. Hull Upgrades – an absolutely necessary module that will improve the survivability of your ships. 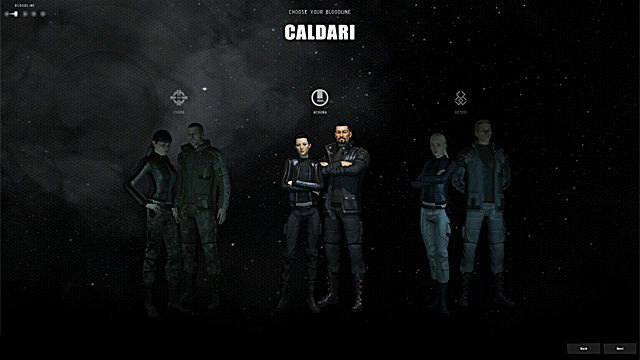 Shield Upgrades (Caldari, Gallente, or Minmatar only) – improve the shield protection of the ships. Drones and Light Drone Operations (Amarr or Gallente) – increases the amount of drones that you can use at once (up to 5). Weapon Upgrades – another highly important module that improves all types of weapons on your ships. Astrometric Acquisition and Rangefinding – two of the most important skills for Explorers. They help you scan signatures with more efficiency. Mining Frigate – if you’ve chosen Mining as your main activity, then you must train this skill for your Venture frigate -- the best mining boat for an Alpha Clone. Trader and Broker Relations – are needed for Traders who want to maximize the number of their orders and reduce the fees from these operations. When you’re done choosing your Bloodline, Ancestry and Education, you can adjust an appearance of your character. After an in-game tutorial you can start your mission. And remember, you can always create a new free Alpha Clone, if you don’t like your first build. 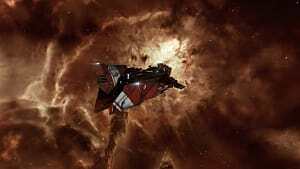 Come back soon for more Eve Online guides at GameSkinny!